This is sad these animals have been a big part of our history, Even the wise men had cammels on the day of the birth of Christ. Thanks for speaking up for camels. 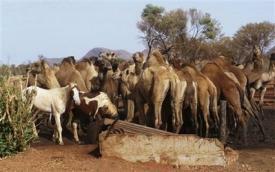 Unthinking humans - just 'dispose' of it...hope the camels spit in their eye! Thanks, Simone! Signed and noted Simone.Agreed Stacy Stjern a nice big green smelly wad of camel spit in the eye.